Your smile is an important feature, and can tell someone a lot about you before you even have the opportunity to talk. A beautiful smile can go a long way. But what, exactly, constitutes a beautiful smile? Most people tend to think about the teeth. If they are a bright white color, if they are straight, if they have any chips, cracks, or any other imperfections. For some, though, even if they have the perfect teeth, their smile is still not what they want. This is because your teeth are not the only thing in your mouth that affect the appearance of your smile. Your gums also play a critical role. Excess gum tissue can cause a gummy smile, which often makes even the most perfect teeth appear small. As a result, your smile suffers. At East Valley Implant & Periodontal Center, we can help to restore the beauty of your smile with crown lengthening. Your gums play an important functional role in your mouth. They are positioned snugly against the necks of your teeth, providing a barrier that protects the roots of your teeth (along with the periodontal ligaments and the jawbone) from oral bacteria. They also play an important aesthetic role, contributing to the appearance of your smile. Excess gum tissue can easily diminish any smile. Crown lengthening is a procedure that is performed to remove that excess gum tissue (and, in some cases, a small amount of bone), giving you a more natural, even gum line and teeth that appear more natural in length. How is a Crown Lengthening Performed? Crown lengthening is performed under a local anesthetic. In some cases, sedation may be used if you are feeling exceptionally anxious or nervous. Once the anesthetic has gone to work, we make small incisions in the gum tissue. These incisions enable us to separate the gum tissue from the teeth, and provide us with access to the tooth roots and surrounding bone. The excess tissue is carefully removed, as is any necessary bone. Once we are finished, the gums are sutured closed against the teeth. You will notice a difference right away. The length of time it takes for us to complete your crown lengthening depends upon your specific situation. It depends on how many teeth need correction, and if we need to remove any bone mass. Even if you need only one tooth corrected, we will work on the two surrounding teeth. In doing so, this helps us to provide you with a more natural result. Typically, crown lengthening is performed as a cosmetic procedure. There are a few other situations, however, in which this particular procedure can be beneficial. • Dental crowns. Crowns are used to protect weak or damaged teeth, preventing the need for an extraction. They are made to cover the entire visible portion of an affected tooth. Excess gum tissue can affect how well the crown fits the tooth. An improperly set crown puts the affected tooth at risk for further damage or infection. By removing excess tissue, we can help to ensure the proper fit of your dental crown. • Fillings. 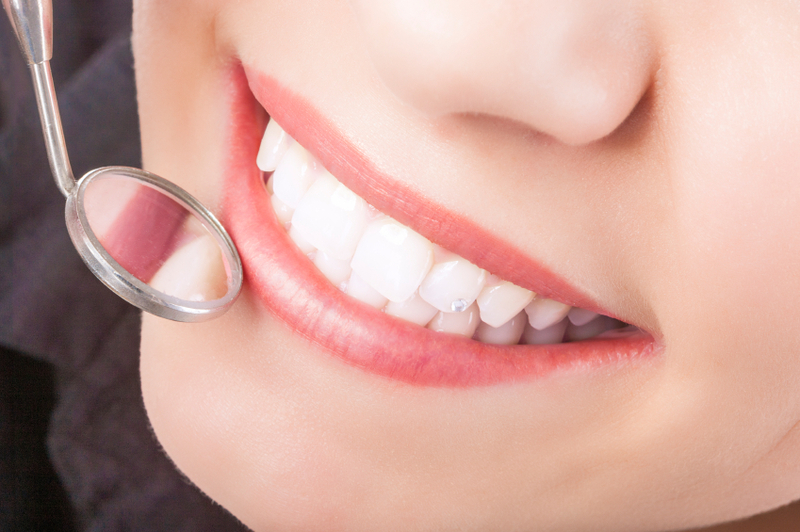 Cavities need to be thoroughly cleaned and properly filled to restore the health of a tooth. A cavity at the gum line can prove difficult. By removing the excess tissue, we can thoroughly clean the tooth and make sure that it is completely filled. • Gum care. Excess gum tissue can easily trap oral bacteria. It can be difficult to keep this tissue cleaned, increasing your risk for developing gum disease. Removing excess gum tissue takes away these hiding places, and enables you to more effectively remove the bacteria in your mouth, keeping your mouth clean and healthy. A crown lengthening can help to give you the beautiful smile you have been searching for. If excess gum tissue is impacting the quality of your smile, call East Valley Implant & Periodontal Center at (480) 376-2848 to schedule your consultation today.